Interested in making your own Mechanical Iris as seen in Make: Magazine's recent skylight project? 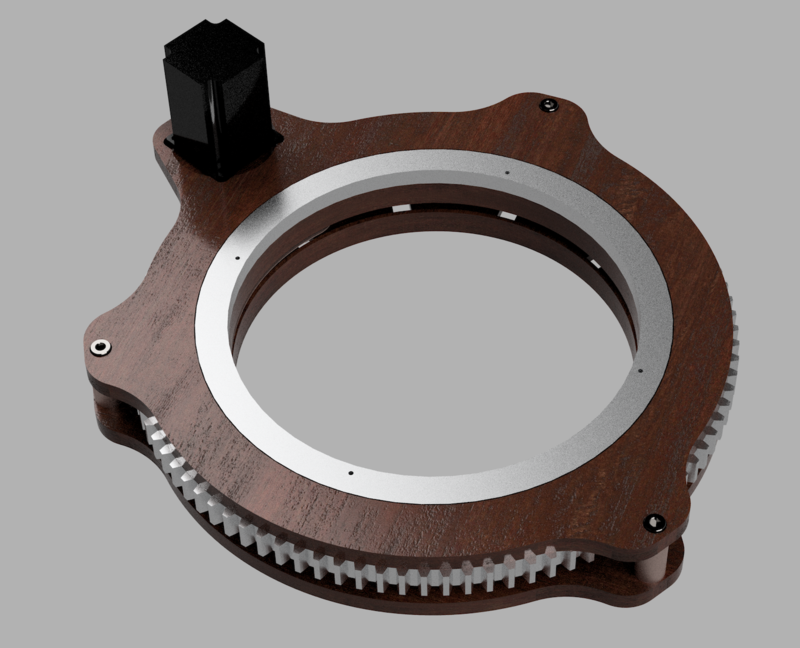 We've partnered with Make: to bring you this project, and as we do with our other design & make projects, we have made the Fusion 360 design files available here. This is an advanced fabrication project with a number of potential uses and ample opportunity for customization. In working with Caleb on this project, we produced two variations of this "pivot and slot" overlapping-leaf Iris design. The first was made as a scale model prototype, called the 10" Benchtop Iris and the second is a full-size 26" Skylight Iris (the same as featured in the Made: Skylight project). Designed in Fusion 360, these designs include both the geometry, hardware, and CAM toolpaths that we used. Caution should be used when applying the toolpaths, while they worked for our fixturing and tooling - you should verify these before running on your machine. Both versions rely on the same basic architecture, a top cover that houses the motor and bearing ring, a lower fixed plate that provides the slots for the leaves to move in, a moving plate that the leaves pivot on, the bearing ring retains the moving plate to the top cover (allowing it to rotate but otherwise stay centered). 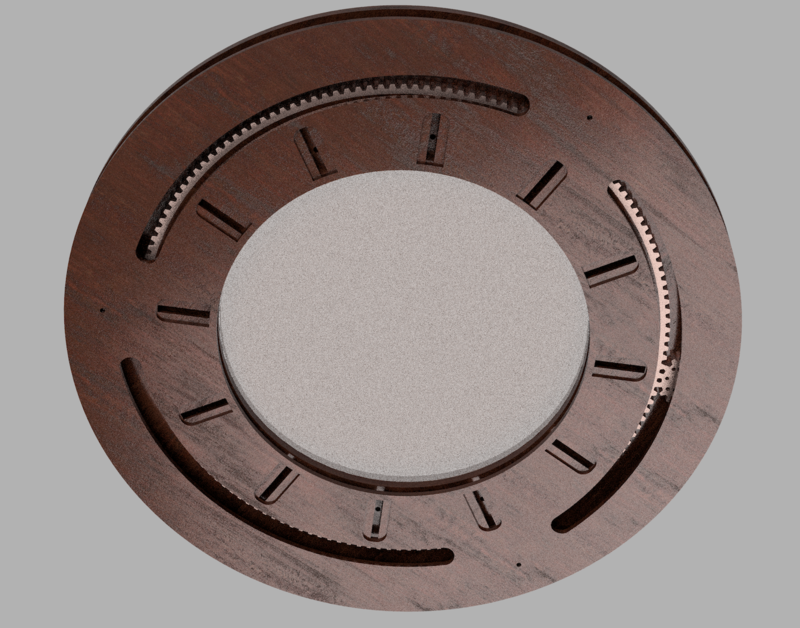 There are 12 iris leaves that attach to the moving plate pivot holes and the slots in the fixed plate. 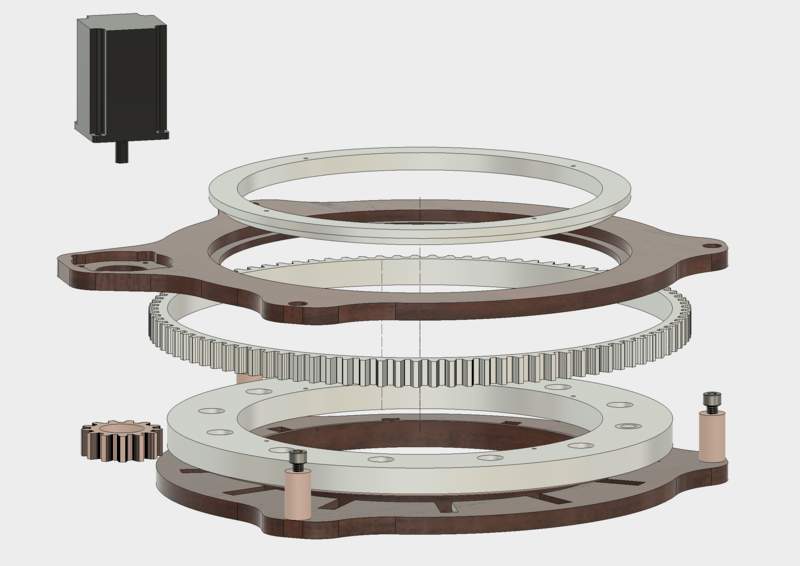 Smaller components like the drive gear (connects to the motor) and hardware to attach the top cover to the lower fixed plate (with spacers) finish the assembly. Note: The versions here use an NEMA 23 stepper motor, which requires electronics and programming know-how and the following major components. Alternatively, a crank handle could be substituted for the motor drive with some customization.